Tottenham Hotspur stand on the precipice of their first Champions League semi-final in a generation. 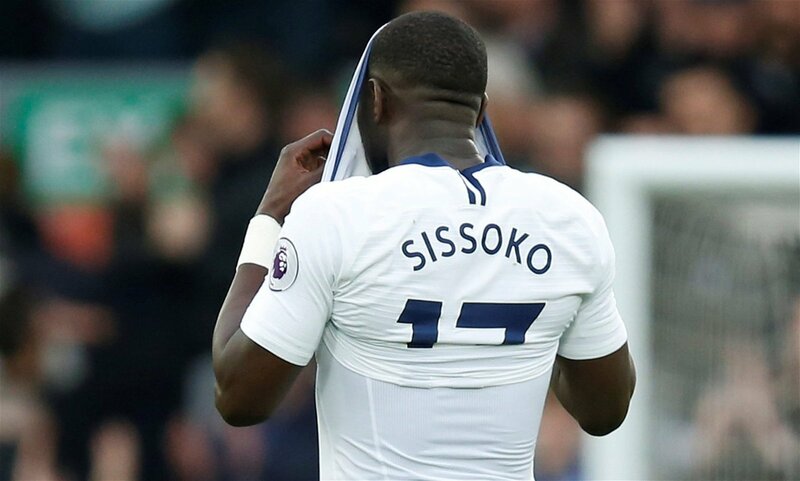 Mauricio Pochettino’s side welcomed Premier League champions Manchester City to the Tottenham Hotspur Stadium earlier this week and were not fancied as favourites. Pep Guardiola has a vast array of talent at his disposal but, after making the bizarre tactical choice to leave Kevin De Bruyne and Leroy Sane on the bench, City were beaten 1-0 in north London. Son Heung-Min scored the only goal of the game in a raucous home atmosphere in the very first Champions League knockout game at the club’s new home. But the omens for Spurs are not at all positive. Since the 2008-09 season, a decade ago, Spurs have played 13 two-legged ties in Europe. They have won the second leg three times. Those wins came against Young Boys in the 2010-11 season, when a team boasting the likes of Gareth Bale and Luka Modric won 4-0 at White Hart Lane after losing the first leg 3-2. That win saw Spurs progress to the group stages in a season where Bale came of age with a pair of scorching performances against Inter Milan. Maicon, one has to assume, still has nightmares. Since then, they have beaten Dnipro in 2013-14 in the second leg of a Europa League tie – 3-1 after a 1-0 first leg defeat – and Fiorentina in 2015-16. That win was 3-0 after a 1-1 first leg draw. But the record before and since is, quite simply, abysmal. Last season, Spurs played Juventus – they could face them again in the semi-finals if they progress, having been drawn to play the winner of Juve’s tie with Ajax in the last four – and played out a creditable 2-2 draw in Italy. However, in the second leg, Spurs collapsed and lost 2-1. Looking back through the results in Europe, one can’t help but agree with him. In 2016-17, they did not qualify from the group stages but in 2015-16 Spurs were thumped 5-1 on aggregate by Borussia Dortmund in the Europa League, losing the first leg 3-0 and the second leg 2-1. That result, of course, came after the win over Fiorentina. Similarly, in 2013-14, the victory over Dnipro led only to defeat at the hands of Benfica, 5-3 on aggregate. Indeed, Spurs do love a second leg draw. From their 14 ties, they have won the second leg three times, lost five times and drawn six. Unfortunately for Spurs, those draws have often come on the back of a first leg defeat. That is the case against Benfica in 2013-14, Basel in 2014-15, when they were beaten on penalties after 2-2 draws both home and away, and Shakhtar Donestk in 2008-09. Perhaps encouragingly, though, Spurs have regularly seen out leads too. In 2008-09, they drew 1-1 with Wisla Krakow in Poland to secure qualification to the UEFA Cup group stages after a first leg 2-1 win. A 0-0 stalemate with AC Milan at White Hart Lane in 2010-11 saw them safely through after a 1-0 first leg win while a 1-1 draw with Lyon in the 2012-13 Europa League achieved a 3-2 aggregate success. There are shoots of hope then. But Mauricio Pochettino has seen his side win a second leg just once, that 2015-16 clash with Fiorentina. In the Champions League, Borussia Dortmund and Juventus have both outfoxed him. Both of those second legs, worryingly, were at home. They will have no such advantage this time around. When Spurs go into the game at the Etihad Stadium they will be looking to secure their first second leg victory in three years. The weight of history will be keenly felt. Spurs have never reached a Champions League semi-final in the modern era. But, with Juventus a possible opponent, and revenge likely to be on the menu if they down Ajax, Spurs may see this as a chance they cannot pass up. They have done it too many times in the past. Now, then, must be the time for them to start winning.